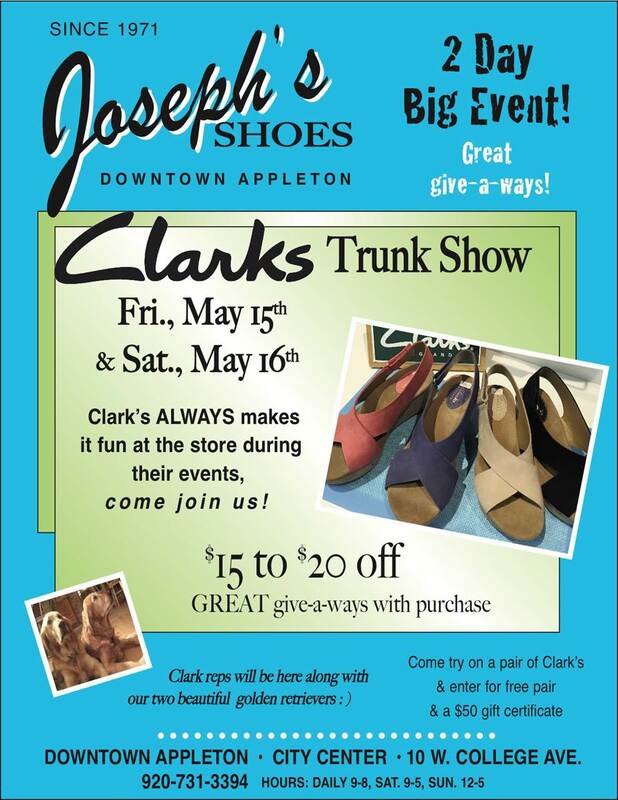 Joseph's Shoes is hosting a big 2 day Clark's Trunk Show event - Friday, May 15th and Saturday, May 16th. Great give-a-ways and specials at Joseph's. 10 W. College Ave.